hope everyone is doing alright. I have couple of fences set up on my desktop and while colors are a good way to keep them unique and quick to find, i've thought it would be neat to set a fencepaper(wallpaper) as background for each fence? Could this be a future feature? "colors are a good way to keep them unique"
Wait, what? How do you change colors? Try this section to change color and lots more. 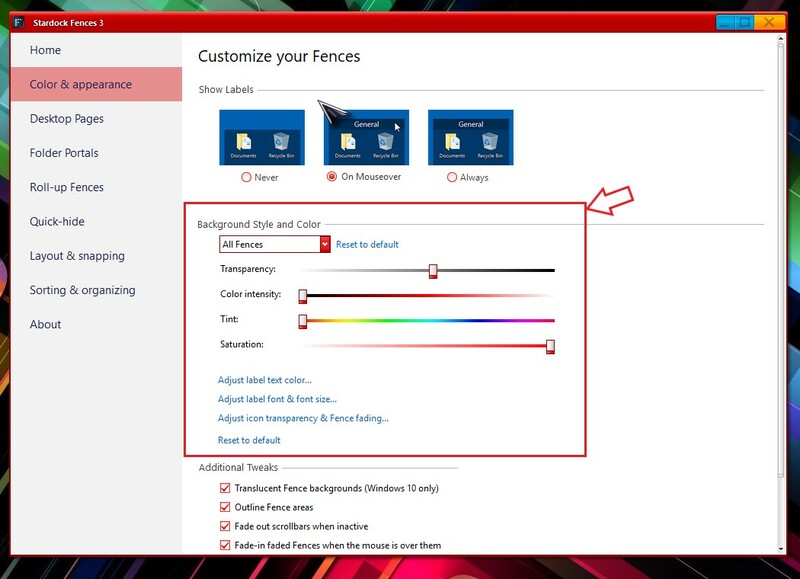 I was worried at first that it was going to be for "all fences" only, but checking that out on my computer, that drop down lets you select separate fences. Very nice touch!! Didn't find it originally as I was looking in the menu of each fence itself rather than the overall "configure fences."